"I got back to the car and bawled my eyes out, can't even explain why. Just seeing the actual signatures of tupuna who lived, breathed, loved, dreamt, fought and died imagining a future for us. I wonder what they would make of what has become?" 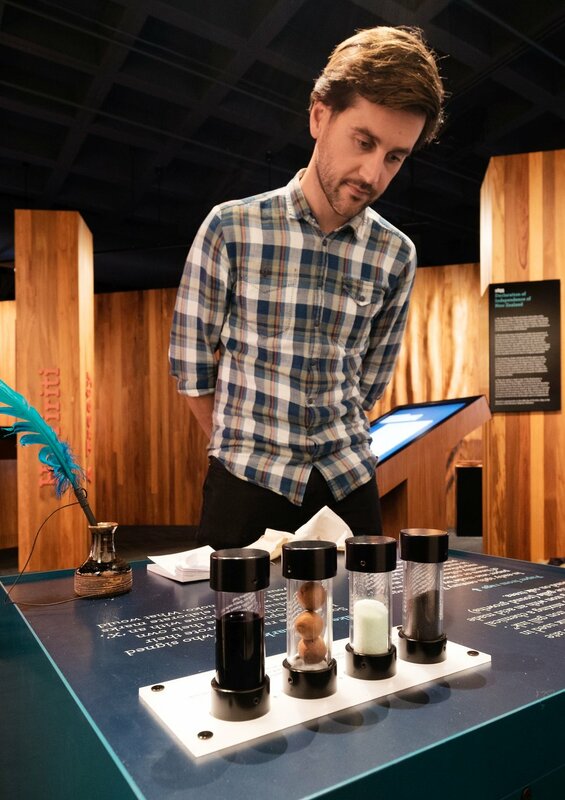 On 20 May 2017, He Tohu, a new permanent exhibition at New Zealand's National Library building in Wellington, opened to the public. We were honoured to work on this project of immense national significance as lead designers and content developers, under the guidance of content experts from Archives New Zealand and the National Library, and two distinguished advisory boards. We also worked closely with a strong team of specialist consultants including Studio Pacific Architecture, interactive designers Click Suite, and renowned German showcase manufacturers Glasbau Hahn. He Tohu is centred on three iconic constitutional documents that shape our nation: 1835 He Whakaputanga o te Rangatiratanga o Nu Tireni - Declaration of Independence of the United Tribes of New Zealand, 1840 Te Tiriti o Waitangi - Treaty of Waitangi and the 1893 Women's Suffrage Petition - Te Petihana Whakamana Pōti Wahine. To commemorate the launch of the exhibition, New Zealand Post issued a limited edition set of postage stamps which were designed by Story Inc and freelance graphic designer Spencer Levine. "There is magic here! The design has a beautiful sequencing that reveals an inner sanctum harbouring our most treasured documents in a crafted and protective cocoon. The tactility of the ripple detail to the timber sends shivers up the spine. Exquisite detailing with considered integral lighting effects provide a technically brilliant solution." 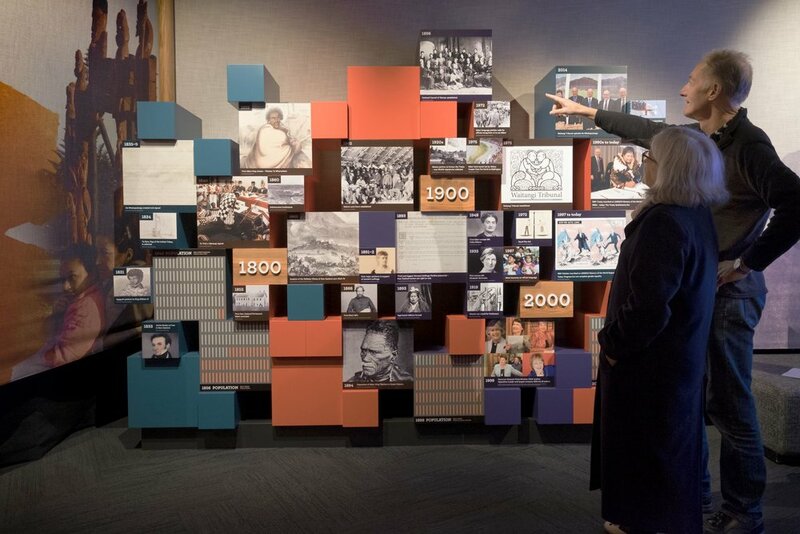 "The ‘He Tohu’ exhibition, showcasing three of our nation’s founding documents, demonstrates what is possible through cross-cultural collaboration in all stages of a design project from concept to delivery. He Tohu gives voice to both The Crown and Māori in a compelling and considered way, reflective of our Treaty partnership, and reflected in a space rich in aesthetic, story and meaning."